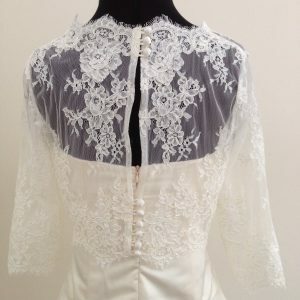 This bolero is made using a Silk Organza, and is edged at the waist with a lace scalloped edging. 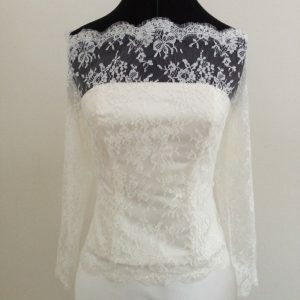 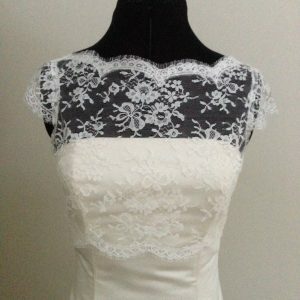 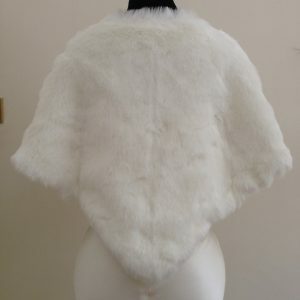 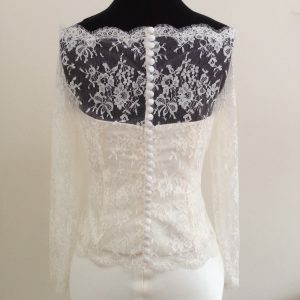 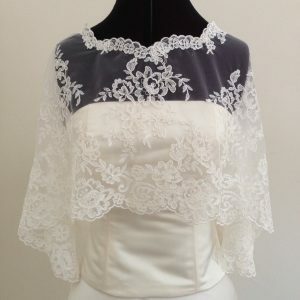 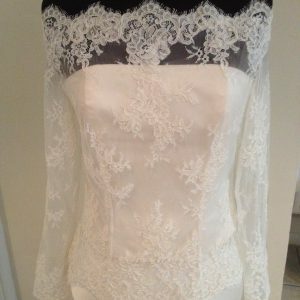 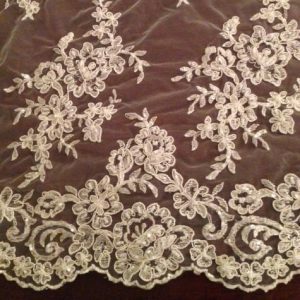 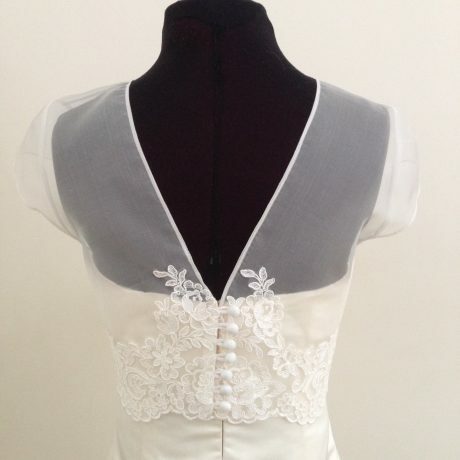 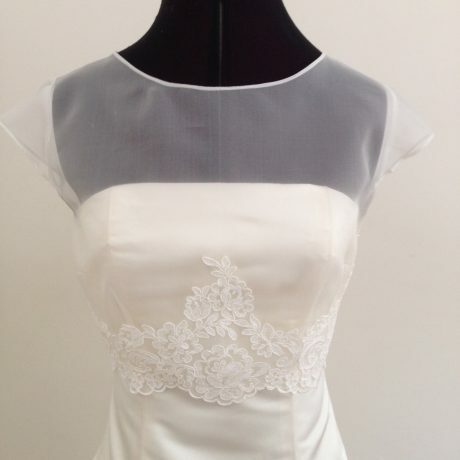 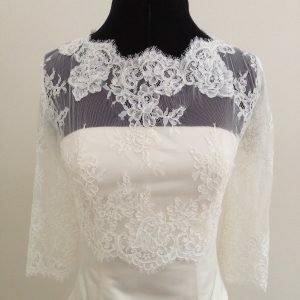 The photo shows the bolero with “Naomi” edging, a heavy corded lace, but there are options to choose other lace edgings. This bolero finishes at the waist and can be worn to help customise a brides overall look by matching or complimenting her wedding dress. 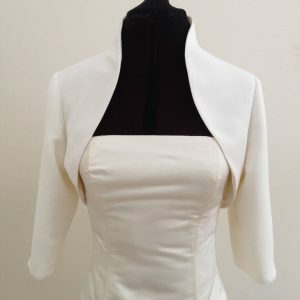 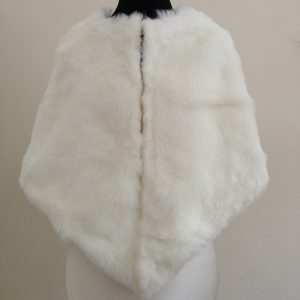 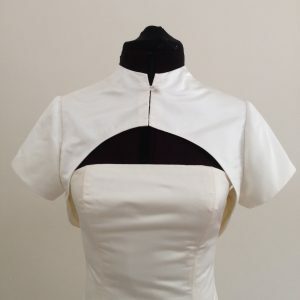 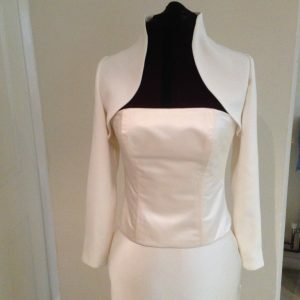 The round neckline at the front comes to a low V back and is fastened with loops and covered buttons.